Our Top 10 Holiday Films – Geek Culture Countdown Podcast! It’s the most wonderful time of the year as Susan and Kitty make their list of Top 10 Holiday Movies! Will their choices put you in the spirit of the season, or should they have checked this list twice? Find out now! We’re taking a peek into geek culture and counting off our Top 10 fandom favorites. Let Your Geek SideShow presents… Geek Culture Countdown! In this bi-weekly podcast, we’re picking topics from across all of fandom- best catchphrases, top telepaths, coolest hero headquarters, and more! Join hosts Susan and Kitty as they count down a curated list of geek culture notables, and see if any of your favorites made the list! Press play above to listen to this episode. The holidays are a time for family, food, and fun. These films each capture the spirit of the season in their own unique way, whether with comedy, action, or sincerity. From gifts gone wrong to saving Santa himself, these movies are reliable favorites to watch every winter. Many fans find themselves divided on whether or not this film falls under the Halloween or Christmas holiday season. The beloved stop-motion film combines holidays to thrilling results, as Jack Skellington seeks to learn the spirit of Christmas. Of course, he doesn’t quite get it all right, as the Pumpkin King hails from a very different world. Still, as the film takes place the day after Halloween, we consider it right at home among our Christmas holiday countdown. For more chills and thrills, check out Seven Spooky Secrets Behind the Making of The Nightmare Before Christmas! While there have been many adaptations of A Christmas Carol, we wanted to feature The Muppet Christmas Carol. This was the first theatrical Muppets film to be produced after the death of Jim Henson, and despite being adapted with Muppet characters, the musical comedy film follows the original story’s narrative extremely closely. Scrooge is played by Michael Caine, with Kermit the Frog as Bob Cratchit, Gonzo as Charles Dickens, and other Muppets filling all the additional roles. This action thriller film is hotly debated in pop culture as to whether or not it’s a Christmas film- our list definitively says yes. 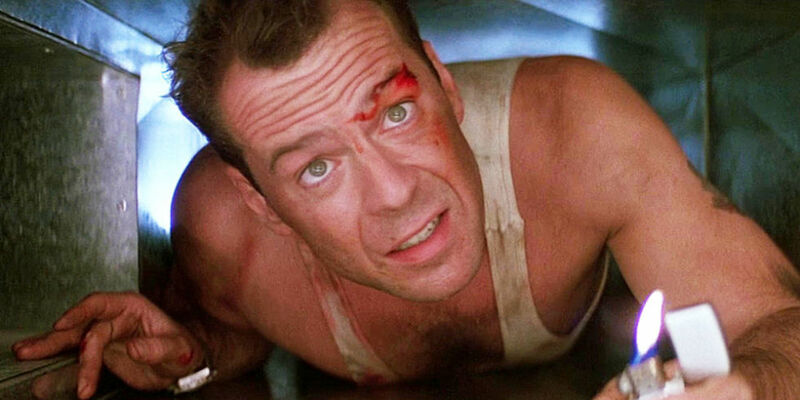 Taking place on Christmas Eve, the film follows off-duty NYPD officer John McClane as he thwarts a heist by Hans Gruber. While Die Hard isn’t as feel-good as others on the list, its setting and imagery have led pop culture, and even the film’s writer himself, to declare the film an appropriate viewing for the holidays. It’s a Wonderful Life is regarded as a classic Christmas film and is often cited by AFI as one of the greatest films ever made, despite performing extremely poorly at its opening. Based on the short story The Greatest Gift, it tells the story of a man who learns how different his community would be if he had never been born. Since its release, it has been remade and referenced in numerous other works of media. This 1989 Christmas comedy film is often labeled as a modern classic, showing viewers a dysfunctional family Christmas with the Griswolds. From yearly bonus woes to twinkle light troubles, this film is outlandish and entertaining every year. The film also boasts a lot of big-name actors like Chevy Chase, Juliette Lewis, Randy Quaid, and Julia Louis-Dreyfus. This comedy-horror film often appears on more Halloween lists, despite being set at Christmas time. After a young man receives a mogwai creature as a pet, things quickly go south when several of the three important rules are broken- never expose the mogwai to bright lights, do not let it get wet, and never feed it after midnight. Was there a gift receipt with this one? This film put a new twist on the legend of Saint Nicolas when Tim Allen is subjected to the legal technicality known as “The Santa Clause”. Taking on the duties and responsibilities of Santa, a successful businessman must learn the spirit of the holiday in order to fill in for Santa after an incident. This film is fun and unique in its execution, putting it in the top 5 of our countdown. This beloved Christmas comedy film was inspired by the book In God We Trust: All Others Pay Cash. Presented as a series of vignettes, it tells the story of Ralphie Parker reminiscing about Christmas when he was nine years old- the only gift he wants is a Red Ryder Carbine Action 200-shot Range Model Air Rifle. This film has given audiences significant and quotable cultural references, including, “You’ll shoot your eye out, kid!”, “Be Sure to Drink Your Ovaltine,” the “Oh Fudge!” incident, the tongue frozen to a pole, and the infamous leg lamp. Every year, TNT or TBS will run a 24 hour marathon of the film on Christmas Eve and Christmas Day. Home Alone trades on a very surprising, a bit far-fetched mistake. When a family leaves their child behind on holiday vacation, the kid must defend his home from two burglars- the Wet Bandits- hoping to take advantage of the family’s absence. This action comedy is known for its ridiculous traps that Kevin McAllister (Macaulay Culkin) uses to fend off the intruders- and they’re downright dangerous! Real science has attempted to recreate some of the devastating effects of a boiling hot doorknob, a paint can to the face, and getting pelted with BB gun pellets. Overall, this charming and popular film still climbs high on our holiday film list, as long as you don’t think about it too hard. Released in 2003, Elf has quickly become a modern Christmas staple, starring Will Ferrell as Buddy the Elf, a human accidentally raised in Santa’s workshop. The film features some stop-motion animation- reminiscence of the Rankin Bass films- along with real-world on-location New York sequences, humorously blending the gruff and not-so-magical real world with the design aesthetics of films like Rudolph the Red-Nosed Reindeer. The film also features a cameo from Peter Billingsley, who played Ralphie in A Christmas Story. Many holiday films attempt to find the true meaning of Christmas, but none do it so well or so classically as Miracle on 34th Street. This 1947 comedy-drama film takes place between Thanksgiving and Christmas, focusing on the impact of a department store Santa Claus who may or may not be the real thing. The film won three Academy Awards, and is preserved in the Library of Congress for its cultural, historical, and aesthetic significance. The film is iconic and heartwarming, making it the clear choice for our top holiday film. Did you miss any of our previous episodes, including Top 10 Fictional Witches in Pop Culture and Top 10 Marvel Legacy Characters? You can check out the full Geek Culture Countdown podcast on iTunes. Keep an eye out for new episodes and more ways to listen coming soon. What topics would you like to see covered in upcoming episodes? Let Your Geek SideShow and tell us in the comments!